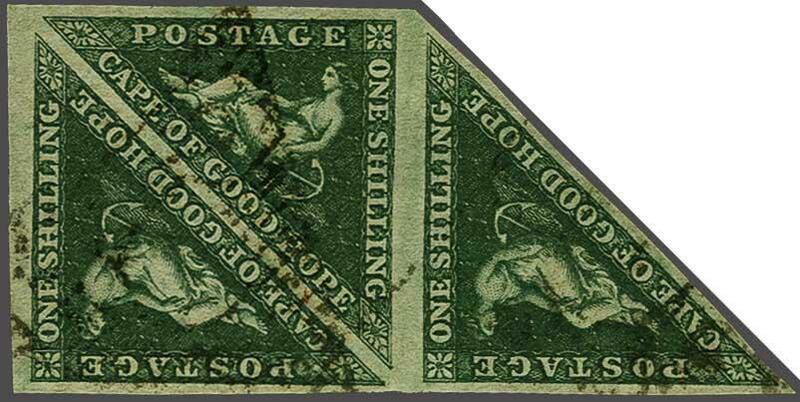 1855/63: 1 s. deep dark green on white paper, a used strip of three, large margins all round, the square pair superb, the adjoining single with minor bend, lightly cancelled in black. An attractive and scarce multiple. Signed Calves Gi = £ 1'650+.